AirSnore is a snoring mouthpiece which works by gently holding the jaw forward to improve airflow during sleep. It's a Mandibular Advancement Device (MAD) which means it's a mouthpiece that works by moving the lower jaw forward, preventing the vibration that causes snoring. Where can I buy AirSnore? The mouthpiece is first molded to your teeth during the boil and bite fitting process. Once fit, it rests in your mouth on your teeth. While it's in place, it moves your jaw a little forward to open your airway enough for breathing more easily while you sleep. Snoring is caused by vibration of the soft palate, this vibration is reduced when the jaw is advanced while wearing AirSnore. What's in the AirSnore box? Can AirSnore be a choking hazard? No. AirSnore is too large to be swallowed. Does AirSnore work for sleep apnea? 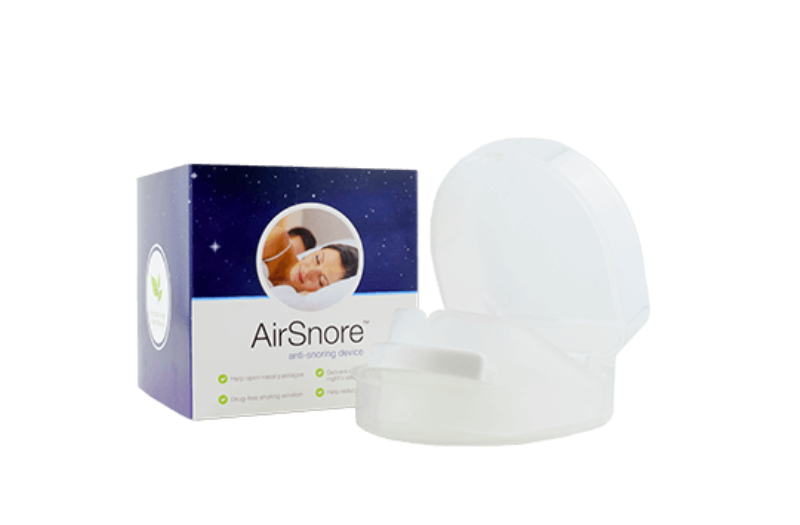 No, although not explictly stated, AirSnore appears only designed for snoring and isn't intended for sleep apnea. Can I wear AirSnore if I have dentures or missing teeth? Maybe. Please contact your dentist about wearing AirSnore. Does AirSnore contain latex or BPA? Unknown. AirSnore claims to be made of food grade EVA materials but there is not explicit mention of latex or BPA. 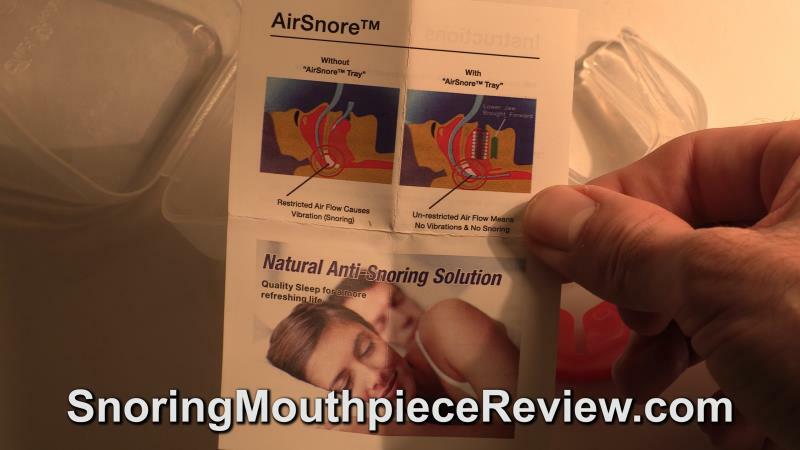 Is AirSnore cleared by the FDA? No, AirSnore has not been cleared by the FDA (U.S. Food and Drug Administration). 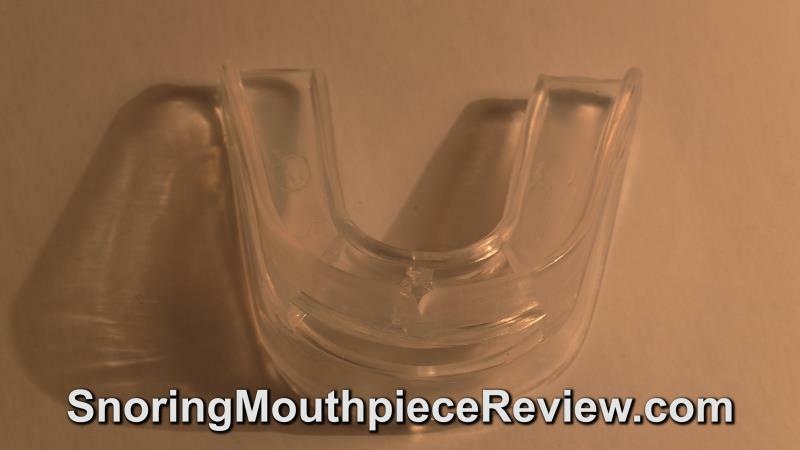 Many snoring mouthpieces are FDA cleared. 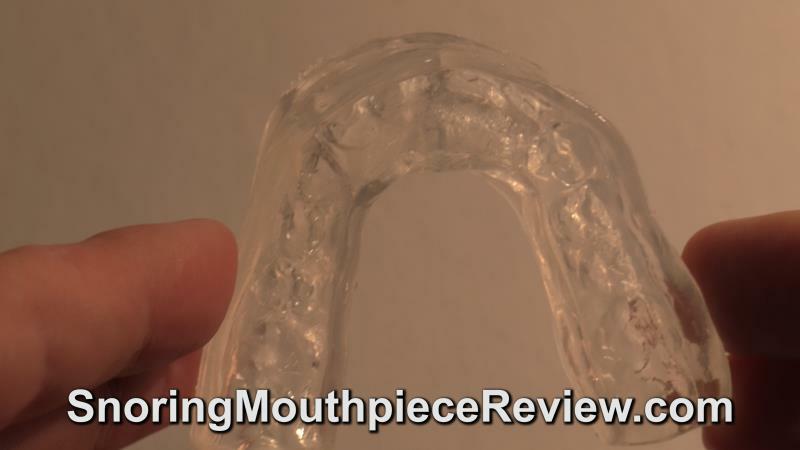 AirSnore claims their mouthpieces are made in FDA approved facilities, however. What does AirSnore look like? How long will AirSnore last? The device should last 6 months of repeat usage. AirSnore guarantees the product for 60-days. Are there different versions or sizes of AirSnore? No, AirSnore only comes in one size. How wide is the AirSnore airway? AirSnore has an airway opening of 5 millimeters. 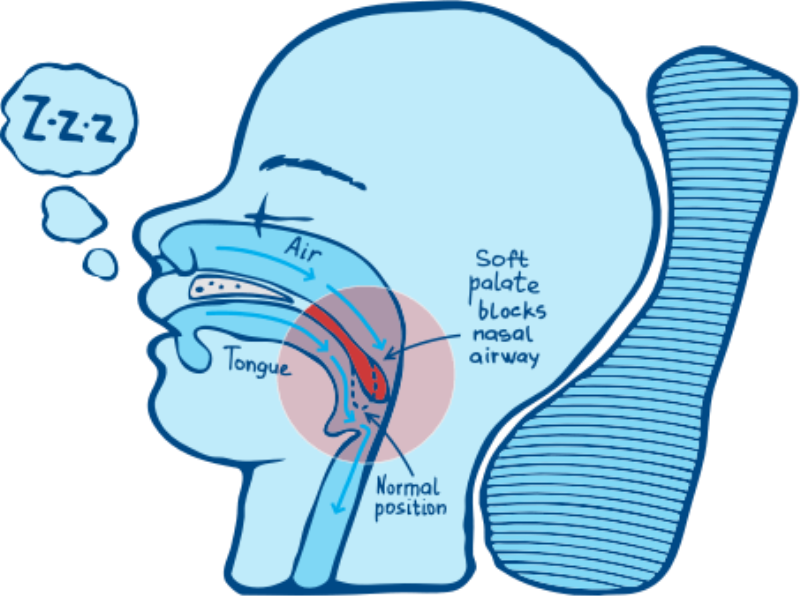 This is enough of an opening to breath comfortably at night although the airway may collapse if overheated. 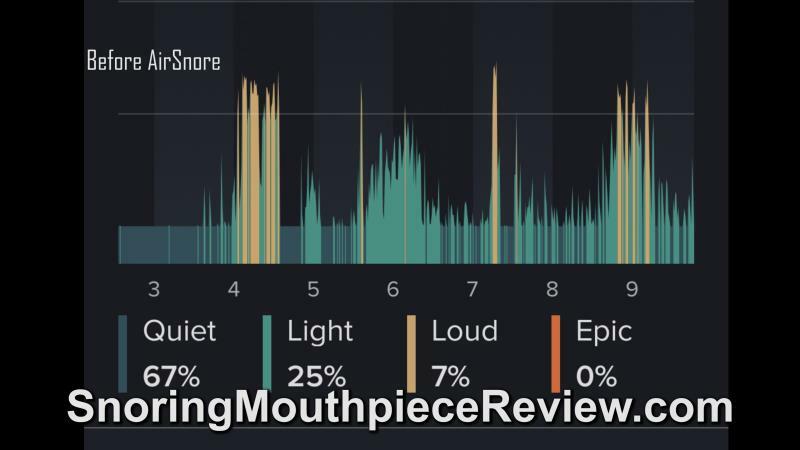 How does AirSnore compare to other mouthpieces? 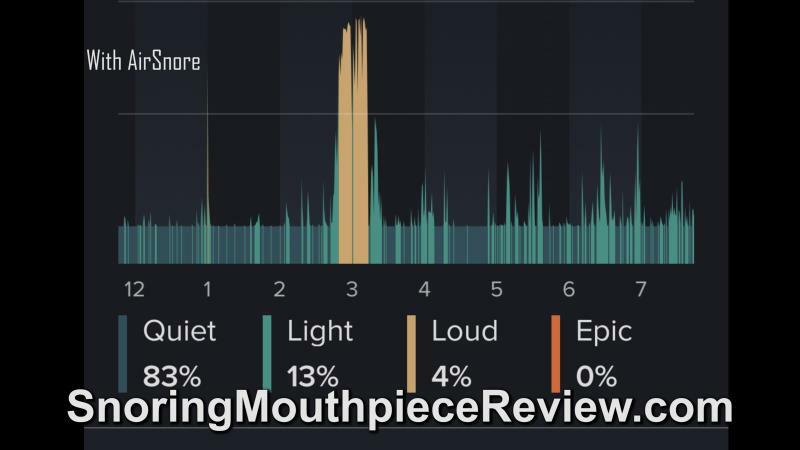 When reviewing, AirSnore is very similar to SnoreMeds and SnoreMedic. AirSnore has a larger airway opening, however. One should expect similar results with AirSnore to these other mouthpieces. A patient who snores wore AirSnore and recorded their snoring using a snoring app. The results show that the snoring frequency and intensity was reduce while wearing the mouthpiece. There was a period of time while wearing the mouthpiece that snoring did occur, however. Brush your teeth before fitting. Insert the red handle into the mouthpiece breath hole. Pour hot water (about 75 C/ 160 F) into the bowl with the mouthpiece until it's submerged. 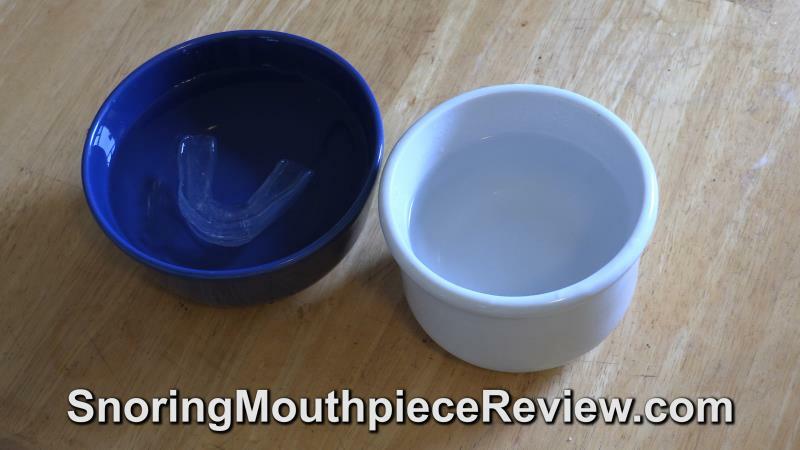 Keep the tray in the water for 15-25 seconds, then take out the mouthpiece, holding the insert handle. 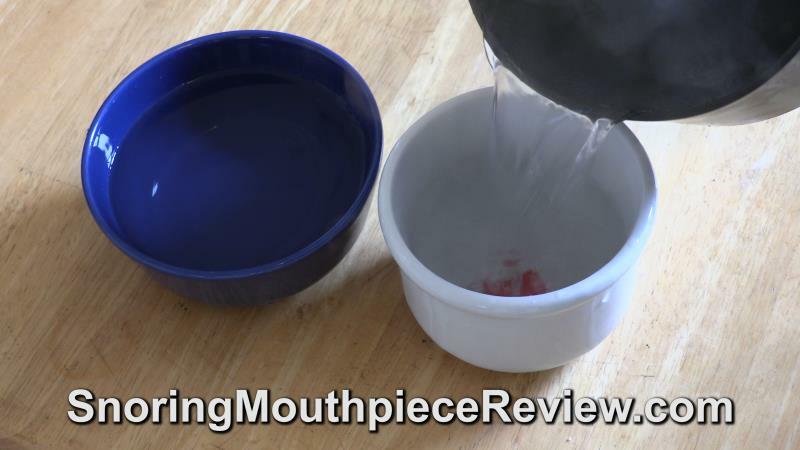 Gently shake off the excess water and insert the mouthpiece into the mouth. Adjust it to a comfortable position and then bite down firmly into the material. Use your fingers to help mold the mouthpiece around your teeth and gums. Tip: During the fitting process, advance your jaw slightly forward by holding it with your hands. This helps improve your airflow at night. Remove the mouthpiece once you have made a good impression of your teeth. 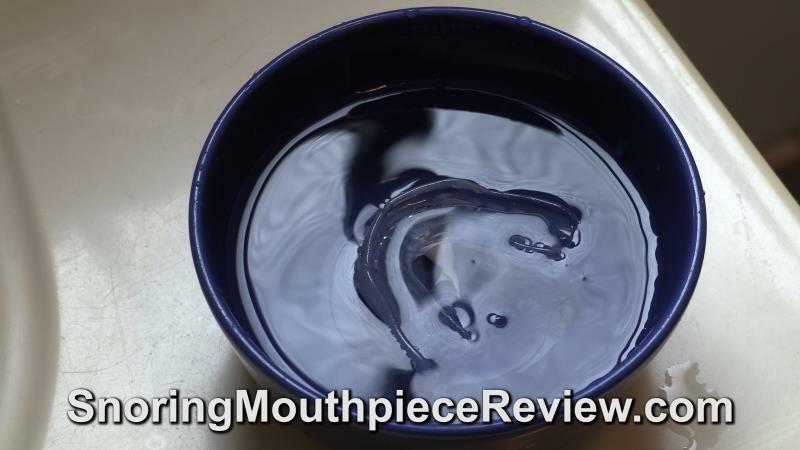 Put the mouthpiece into cool water to help solidify the impression. Note: you can repeat the fitting process if you do not get a good impression or much jaw advancement. What shipping options and methods does AirSnore offer? Can you order AirSnore in Canada or outside the United States? Yes. AirSnore can be purchased worldwide. What payment methods does AirSnore accept? What's the warranty and return policy for AirSnore? AirSnore offers a 60-day refund to ensure you are satisfied. If you need to return it, you will need to return everything sent to you. Is there a satisfaction guarantee with AirSnore? Yes. AirSnore offers a 100% satisfaction guarantee within 60-days of receiving the device. No, AirSnore is not accredited by the BBB (Better Business Bureau). How do you clean AirSnore? You should clean AirSnore after each use. You can clean AirSnore by using cold water and some toothpaste. You can also use denture cleaning tablets. If you clean AirSnore in cold water with toothpaste, let it sit in the water for about 15 minutes. After that, air dry the mouthpiece before use. AirSnore is a boil and bite mouthpiece which can reduce snoring. 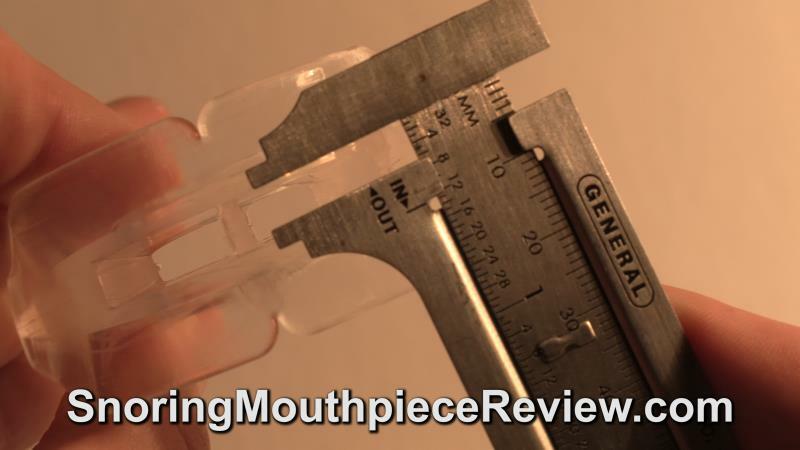 You can re-fit the mouthpiece until it fits securely and helps open your airway better. 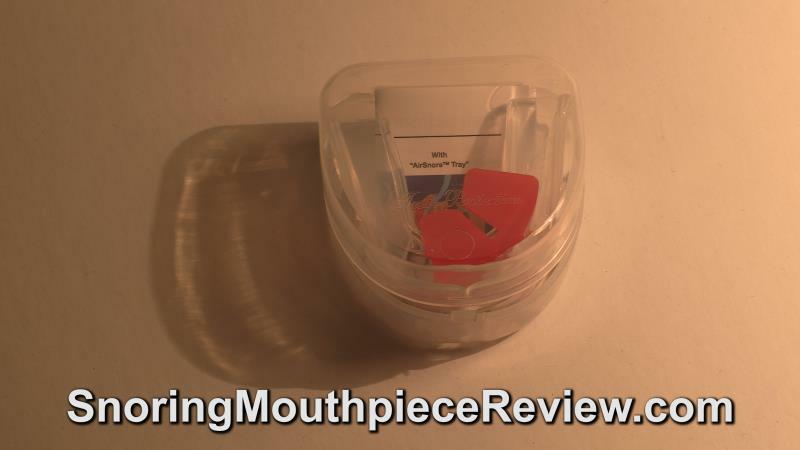 Unfortunately, AirSnore is not FDA cleared unlike many other mouthpieces available today. 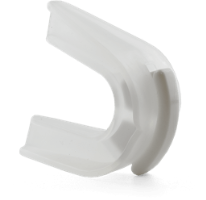 Although the materials of AirSnore may not be as strong as some other mouthpieces, it is an affordable and effective mouthpiece. Do not buy. Very deceptive "guarantee". 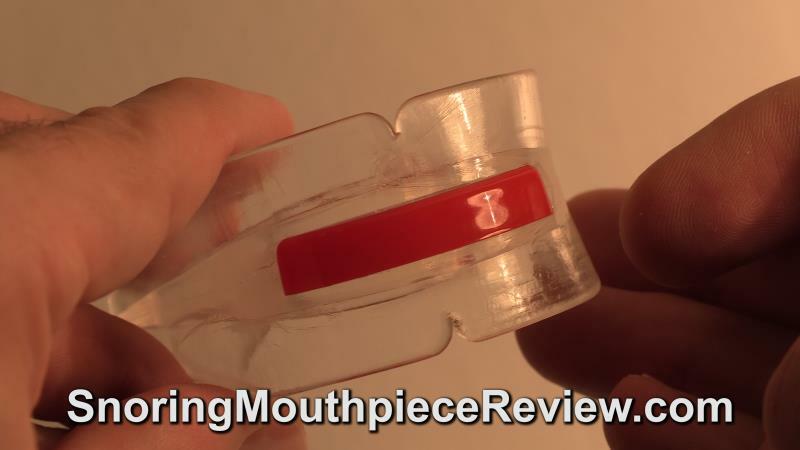 Out of many mouthpieces I have tried, this product is the worst in providing a secure fit and did nothing to keep my jaw in place. When I contacted them to return the mouthpiece, they told me I had to ship the mouthpiece to the United Kingdom. After deducting the cost of return shipment, I wouldn't get anything back. I asked if I could email them a picture of the destroyed mouthpiece (as they are obviously not going to re-sell it), but they insisted on me sending it back to them. Nothing in their website shows that you have to return the product to a foreign country. Just a sham "guarantee." Don't buy.